When Vikki Wiercinski heard Edmonton described as a “frigidly cold” government town in a less-than flattering Lonely Planet travel review, she decided to stick up for her city with a new guidebook. When Vikki Wiercinski heard Edmonton described as a "frigidly cold" government town in a less-than flattering Lonely Planet review, she decided to stick up for her city with a new guidebook. The graphic designer has produced and printed a crowd-sourced insider's guide of the city called Edmonton, It's Fine here! 45 Ways to Edmonton Like a Local. The guidebook is a compilation of the city's must-see destinations and hidden gems, as suggested by locals through an online survey. Available to order online and in print, the guide includes recommendations on attractions from dive bars to cheap eats, from public art to "unofficial" attractions. Wiercinski said the guide is a cheeky, yet practical reaction to a snarky Lonely Planet review which sparked outrage in the city when it was published in April. "I think you could say that the Lonely Planet review had some merit but if that's all they were going to say about it, I think it was a bit lazy on their part," Wiercinski said in an interview with CBC Radio's Edmonton AM. "I'm a lifelong Edmontonian and I knew that there was things to highlight." Wiercinski said she had been thinking about putting together a map for her house guests for years, but the scathing review inspired her to make it happen, and on a much larger scale. 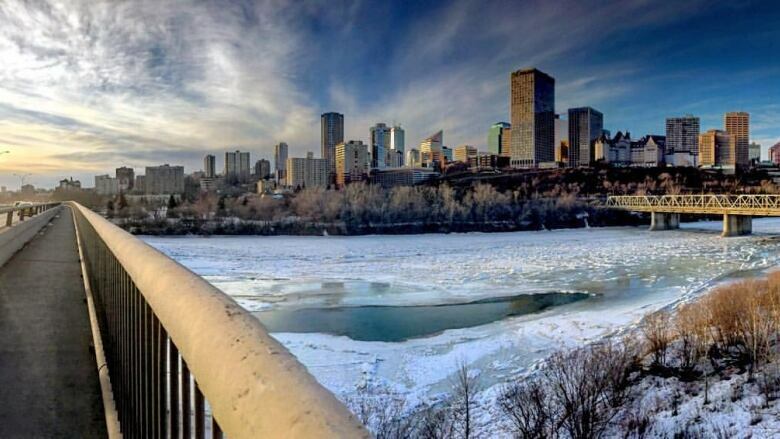 The Lonely Planet review described Edmonton as a "modern, spread out and frigidly cold" government town with a downtown core that's for the "moneyed and the down-and-out." Wiercinski knew her hometown deserved better. She set up an interactive website and asked Edmontonians to add their favourite places to the map. "And so I did it and here we are." Wiercinski combed through more than 400 submissions and hand-picked the best in the Edmonton area, including star-gazing at the University of Alberta to canoeing on the North Saskatchewan River. "I spent hours on my couch going through it," she said. "And then, ultimately, I had to think about who this map is for. "I think it's for people that live in Edmonton who are new here. It could take you years to get a list like this going in your brain, if you've just moved here." The guide is also for people who have lived in the city for a long time, but may not be aware of some of the places on the map, she said. "There has been a surprise on here for every single local person that I know, so that's pretty cool." As a lifelong Edmontonian, Wiercinski thought she knew all of the city's hidden gems, but even she found a few surprises. Among the "wackiest" suggestions is a place known as the Lamont Limo Graveyard, where an auto wrecker has buried old limos vertically in the ground in an eccentric piece of unsanctioned public art. Wiercinski has no plans to mail her new guidebook to Lonely Planet, but hopes other visitors to the region take advantage. "I'm just hoping that people get something new out of it," said Wiercinski. "Edmonton is not New York. It can take some digging to find the gems."